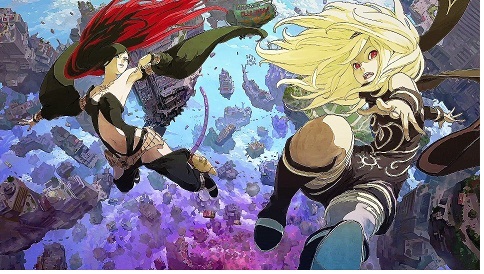 In Gravity Rush 2, Kat is able to equip up to three Talismans and they add special effects to her weapons. You can equip them in the game at any time via the corresponding menu point when you press the Options button of the PS4 controller. You have three different shaped talisman slots and you have to find the corresponding talismans for each form in the game so that you can take full advantage of the slots. In this guide, we will show you how to find and use talismans. There are basically three ways to get new talismans. - Sometimes when mining gravity Ore.
- Reward for the completion of events. - Reward for the completion of treasure hunts. The fastest way to get talismans is through the mining of gravity Ore. To do this, first you should complete the side quest "Fly Me into the Storm" at Misai on the transport boat in the Banga settlement, which serves as a tutorial for the mining expeditions. Misai accompanies her on an expedition and builds gravity Ore. In the process, you get sometimes talismans as a byproduct, which is made visible to you by a short note on the screen. However, you cannot equip them immediately and you have to complete the quest. On your return, the talisman stones are submitted for review and you can then equip them in the Talisman menu. Alternatively, you may receive additional talismans at the end of treasure hunts and other events. Just check this out regularly in the announcements about the game menu. New events are regularly held there. Look at the rewards and see if talismans are there. Talismans are available in three different forms, Circular, Moon, and Trinity of which you can always equip only one at a time. The first talismans you will find in the game will be circular. If you choose a Talisman, the effects will be displayed on the right, one of which can have a maximum of three different talismans. It is therefore worthwhile to equip talismans with as many effects as possible. New salvaged talismans are randomly assigned 1-3 effects. While we have not yet discovered all effects in the game, but we give you a list of effects that we have been able to find in the game so far. - Life Extender: Increases maximum health. - Efficient Kick (N): Reduces the energy consumption for gravity sliding in the normal style. - Gem Attractor: Increases the radius in which gems and talismans are found. - Power Kick (N): Reduces the damage done in normal style. - Bounce: The target search radius of the gravity kick is increased (not stackable). Talismans are essential to optimizing Kat’s skills. Thus, between the other missions, regular expeditions to mining sites are made to find new valuable talismans.